Five workers at Samsung Heavy Industries’ main yard in South Korea have died as a crane collapsed this afternoon. Another four are seriously injured, according to Korean newswire Yonhap while up to 10 more have sustained minor injuries. The accident happened at 2.50pm local time as a 32-ton collapsed. Firefighters have been trying to unravel the wreckage to check to see if there are other workers buried under the crane. Samsung Heavy suffered one fatality last year when a worker died working on a jack-up rig for Statoil. 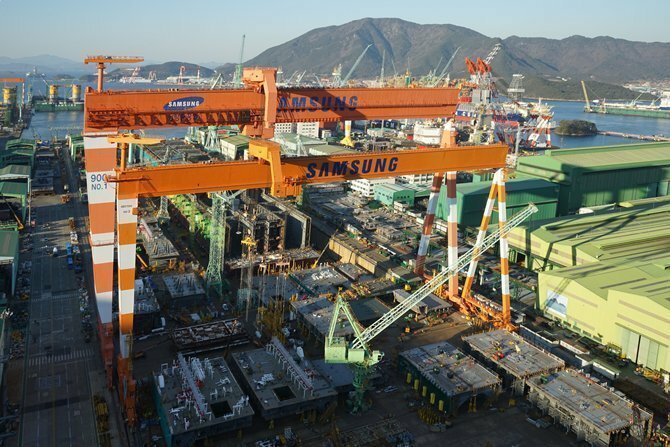 Deaths at Samsung Heavy’s two main rivals – Daewoo Shipbuilding and Marine Engineering and Hyundai Heavy Industries – have also increased in the past 18 months. Korean trade unions have blasted senior management at these yards in recent months for trading safety as orders dried up forcing dramatic cuts in outlay among the nation’s top yards.